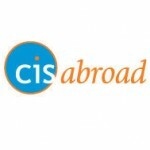 CIS Abroad offers business-focused study abroad programs at UIBE in Beijing China and an internship program in Shanghai. The mission of CISabroad is to provide innovative education programs that broaden academic perspectives, promote global awareness, and encourage personal development while laying the foundation for participants to become engaged world citizens. Life in Beijing – Living in the capital of China has tons of perks! A great public transportation system, all kinds of Chinese and international food, the most amazing markets you can imagine . . . You’ll never be without something to do. Study Chinese in Beijing at a truly international Chinese university – The University of International Business and Economics has a truly diverse student body, with students from across Asia, Africa, and Europe. China-focused economics courses – What better way to learn about China in a business context than in China from a Chinese professor? Getting involved on campus – Because all students on campus know some English, you can join the numerous campus clubs and sports and take the utmost advantage of being a student in China. Day and weekend excursions – We know that part of study abroad in China is seeing the sites, and we’ve got you covered. From the Great Wall to the Olympic Stadium, you’ll get to see some of the truly amazing spots in Beijing and beyond. On Intern in China, your internship will be customized to match your interests and how long you want to live abroad. Internships last a minimum of 4 weeks, but we encourage you to stay as long as you can. Placements are focused in the modern metropolis of Shanghai. A custom internship placement – We understand that you aren’t traveling to China to sharpen pencils and learn to brew the perfect cup of tea. Don’t worry: your work in Shanghai will take into account your career goals, interests, and skills. Any length of internship – From a month to a year you decide how long you would like to stay. Work in a Chinese company or organization – Intern in China places you in some amazing companies and organizations in Shanghai. Mandarin lessons – While you do not need to know Chinese to participate in this program, we strongly recommend that you take advantage of the optional private Mandarin lessons only included in the comprehensive program! What better way to truly immerse yourself the culture?